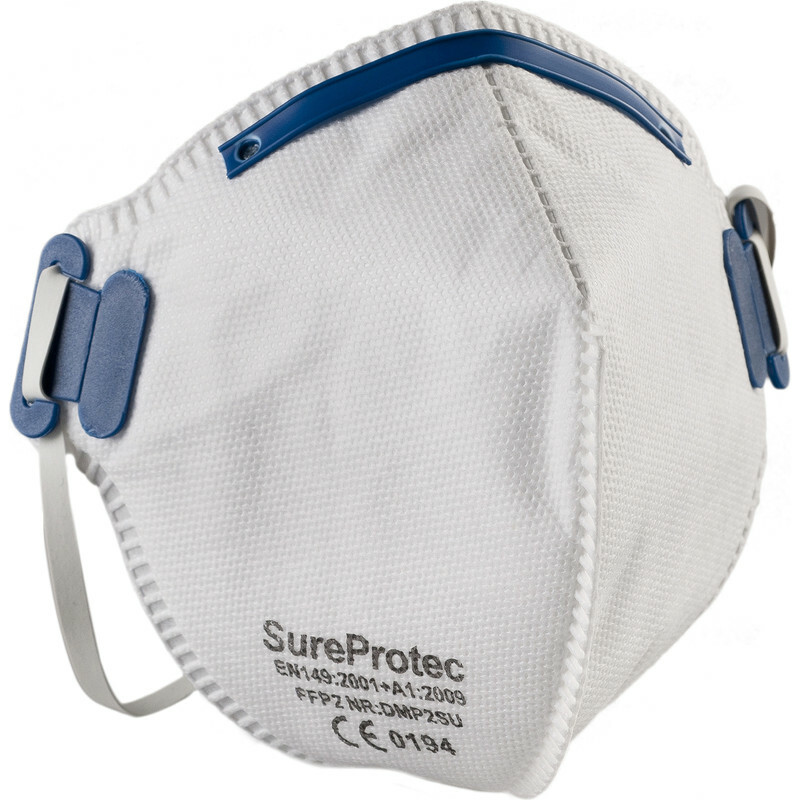 Protects against fine non toxic dusts, fibres and aqueous mists. Folds flat. Conforms to EN149-2001. FFP2 Face Mask (20 Pack) is rated 3.0 out of 5 by 3. Rated 5 out of 5 by janmo 1460 from fantastic face dust masks i purchased these face masks a few days ago.i am very happy and satisfied with the product,second to none.please keep it up with these kind of products.fantastic quality and the price unbeatable. i like your website.easy find products. thank you. Rated 3 out of 5 by Knalse from Okay but straps are only glued on. The straps used to be like that on the masks pictured but now they are only glued on. I have to throw away quite a few because the straps rip before even get the mask on. Rated 1 out of 5 by Balljoint from Face mask Bought 50 cheap ones, rubbish so i bought these first couple ok but after that the straps kept breaking when i tried to fit on face so i have been using a stapler to re-attach straps. Once on my head they performed OK. My head is not particularly big!! !